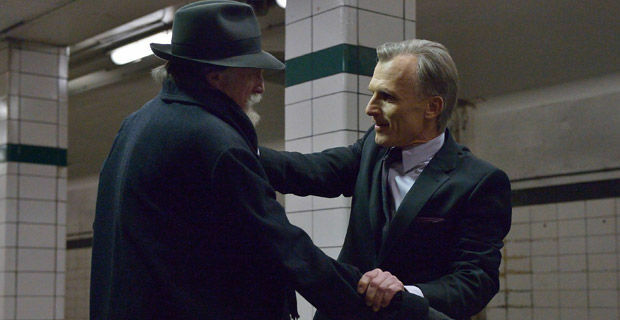 Remember everything I complained about last week on The Strain? Episode 6, ‘Occultation,’ gets it all right. There’s a good deal of strong action and gore, but what gives this episode so much momentum are the heated, engrossing conversations paired with a powerful foreboding tone. The idea of an occultation is just genius. The writers easily could have jumped right into the vampire takeover, but instead, they up the suspense tenfold by essentially teasing the death and devastation to come. And not only does this buildup make the idea of the plague feel fresh and like an even greater threat, but it also gives us time to see our main characters react, further developing them in the process. The Strain has had ups and downs in every single episode since the very first, but the show’s been working because, typically, the good outweighs the bad by a lot. Not in ‘Runaways,’ though. 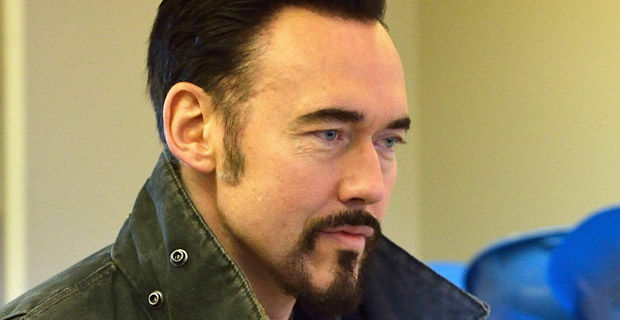 The sole winner this time around is Kevin Durand as Vasiliy Fet primarily because he’s one of the only people to do something in this episode that significantly pushes the narrative forward, but also because he’s such a captivating character. No matter what Vasiliy says or does, he’s an interesting guy to watch. As expected, things are really picking up. 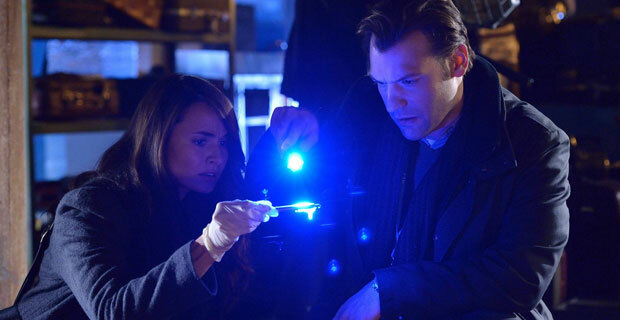 Rather than have Eph, Nora and Jim continue to search for answers while being completely oblivious to what’s really going on, episode 4 of The Strain, ‘It’s Not for Everyone,’ hurls them right into the reality of the situation and it serves all three characters exceptionally well. First off, it’s incredibly satisfying that ‘It’s Not for Everyone’ picks up right where ‘Gone Smooth’ left off. Many shows would have just cut to the gross-out-heavy autopsy scene, assuming that the break between episodes would keep us from wondering how the trio dealt with the shock and Redfern’s body. The Strain started strong with “Night Zero,” slowed a bit during “The Box,” but began building characters and storylines in the process, and now “Gone Smoother” continues that progression. It still doesn’t have the momentum of the first episode, but the pace is picking up and we’re getting some solid plot and character development along with it. 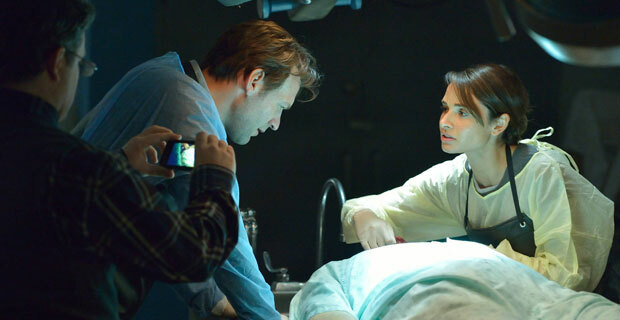 First off, hooray for Mia Maestro finally getting something to do! “Gone Smoother” merely introduces a connection between Nora and Abraham Setrakian, but at least it finally pulls her out of Ephraim’s shadow and proves she’s got some ideas of her own as well as the gall to act on them. 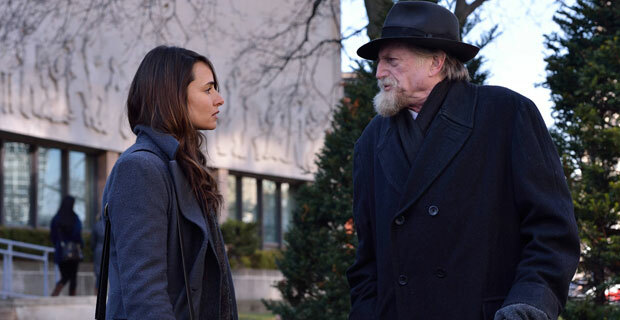 It could be great to see her, of all people, step up and take Abraham’s advice – “Being good means nothing, unless you’re willing to do what needs to be done.” Eph’s been leading the charge thus far, but if she takes the reins on this one, it could be one heck of a turnaround for the character. The second episode of The Strain doesn’t come anywhere close to matching the thrill of the plane investigation or the massacre at the morgue in the first, but it does function as a solid and very necessary character and world-building episode. “Night Zero” benefited from the novelty of the inciting incident, but now that that’s done, it’s got to beef up both the main players and the core story to ensure the longevity of the show, and that’s exactly what “The Box” does. Ephraim gets a nice balance this episode. Roughly half of the time he’s discovering new things pertaining to the case, but then the other half, he’s with his family, just being an average person. “Night Zero” laid out the basics of Ephraim’s situation with his wife and son, but “The Box” digs a little deeper, and not just in terms of blurting out new details on their predicament, but rather by letting them behave like normal people. I can’t believe I’m saying this, but I’m really going to miss Hemlock Grove. After failing to make it through season 1 last year, I forced myself through all 13 episodes in preparation for season 2 and while I wasn’t too happy about it at the time, now I’m thrilled I did it. Hemlock Groveseason 2 is so much fun it made the dull and nonsensical first season well worth sitting through. There are still quite a few plot holes and logic issues, and at times, the narratives don’t flow particularly well, but overall, this is some highly engaging and entertaining material, and it’s largely due to the fact that many of the main characters are far more developed now.